This is a complete lesson plan for practising linking adverbials and conjunctions in writing and speaking. 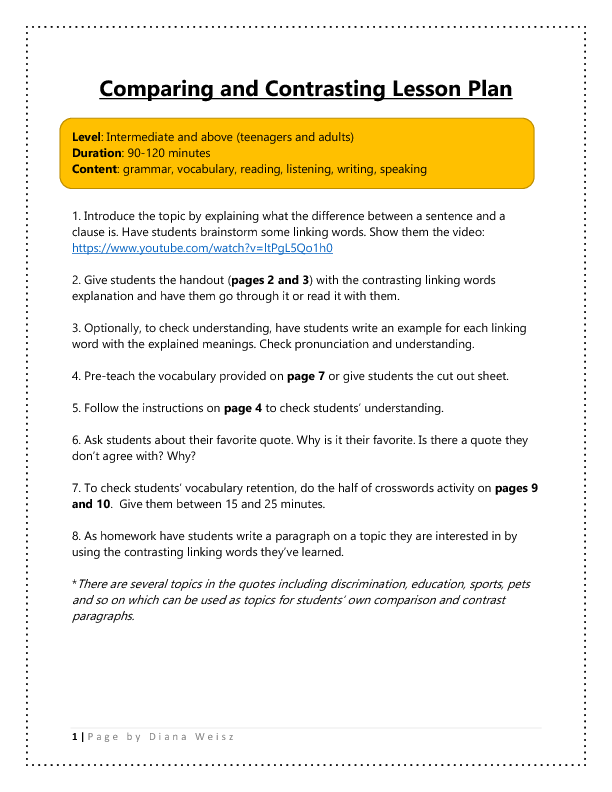 This sheet contains: a lesson plan, a handout for some contrasting linking words seen in the video, an activity which can be played in two ways with contrasting linking words used in famous quotes, a vocabulary list to pre-teach for the quotes and a half of crosswords to practise the vocabulary taught during the lesson. 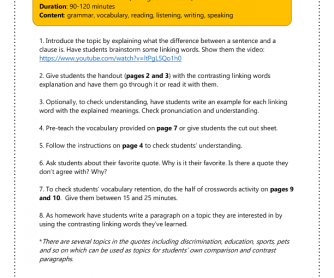 The lesson and video can be used with Intermediate and above students (teenagers or adults). Enjoy!